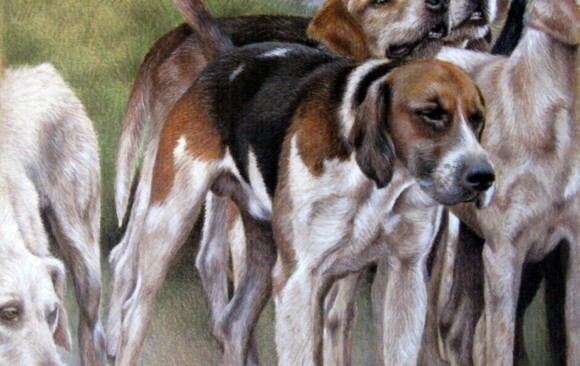 Welcome ~ I hope you will enjoy looking around my animal portraiture website. I specialise in animal portraits supplying Ross-on-Wye, Hereford, Worcester, Gloucester, Monmouth and the Forest of Dean area as well as mailing artwork out to customers wherever they might be in the world. If you are thinking of placing urgent orders for birthdays please book as early as possible. I am passionate about capturing an animal’s unique personality and soul by paying great attention to every detail – I really need to see the character in his or her eyes. When you decide to place an order it is essential to select the clearest possible photograph of your animal – one which shows a stance or a ‘look’ which is typical of their personality. Remember, your finished portrait will look like your photograph! Once that special photograph is chosen it is then a simple process of emailing it to me and work can begin. 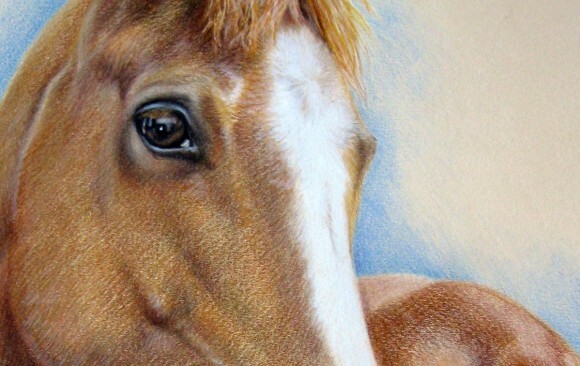 PRICES AT A GLANCE; coloured pencil portraits from £160 for a 5 x 7″ artwork, Oil paintings from £550 for a 12 x 9″ artwork. Your portrait will come double-mounted but not framed. MY PROMISE TO YOU, THE CUSTOMER, IS THAT IN THE EXTREMELY UNLIKELY EVENT OF DISAPPOINTMENT NO PURCHASE WILL BE FORCED. 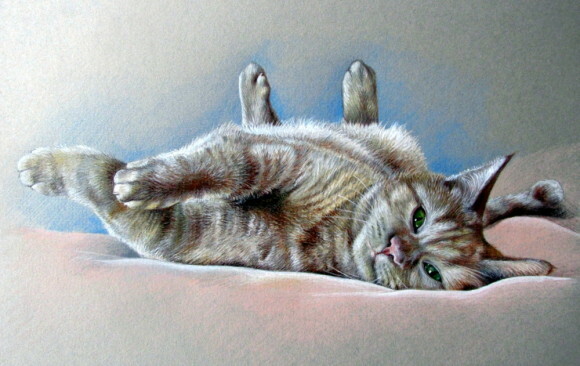 It is an honour and a privilege to be able draw and paint and I take huge pride in giving each valued commission 110%. 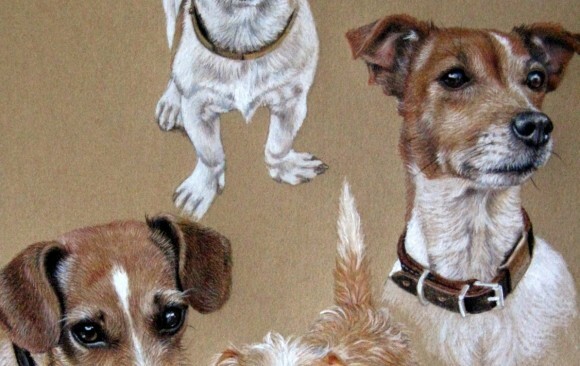 To have a painting of a much loved pet is very special in that it is a unique image, unlike any other in the world. 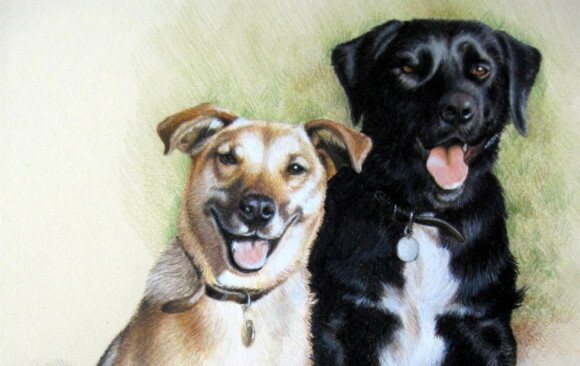 Many people have benefited from having a portrait to remember the character and vibrance of a long lost pet. 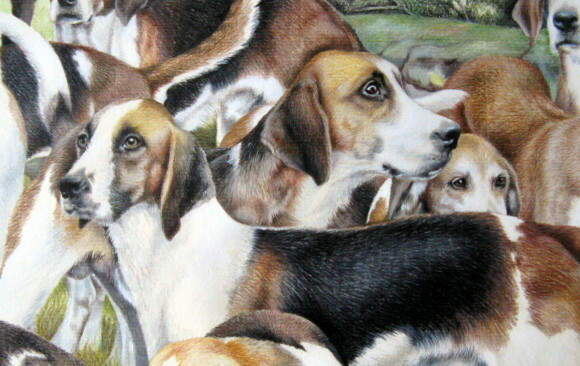 I have spent most of my life living in the intoxicating beauty of the Herefordshire countryside, and have been drawing and painting animals ever since I was a small child growing up on my parent’s riding school. Most of the work you see in my gallery at present is done with a combination of water soluble crayon and acrylic paint but I also work in oil. Please be aware that oil paintings take longer to produce than crayon as layers of paint need to dry between applications. Portraiture is painstaking work and cannot be rushed. As a rough guide, a portrait in coloured pencil & acrylic paint will take about one to two weeks, and an oil painting will take at least three to four weeks. Please respect my right to refuse blurred photographs.